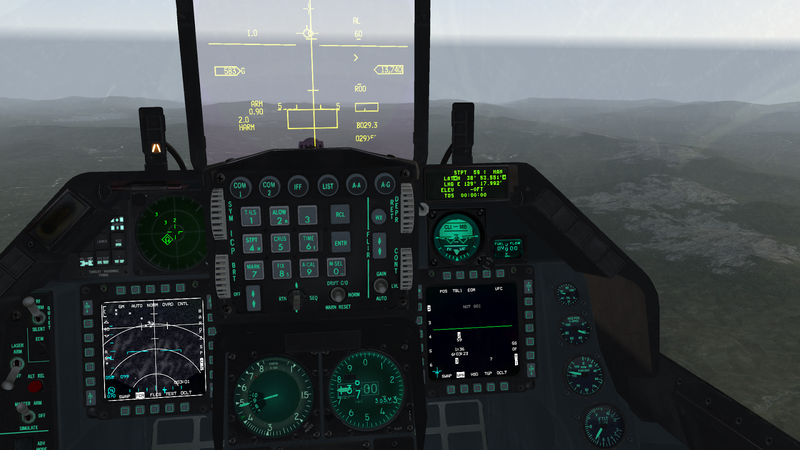 I haven't shot a HARM missile in quite a while and after listening to Dan Hampton's Viper Pilot audiobook for the third time, I had to do it again. 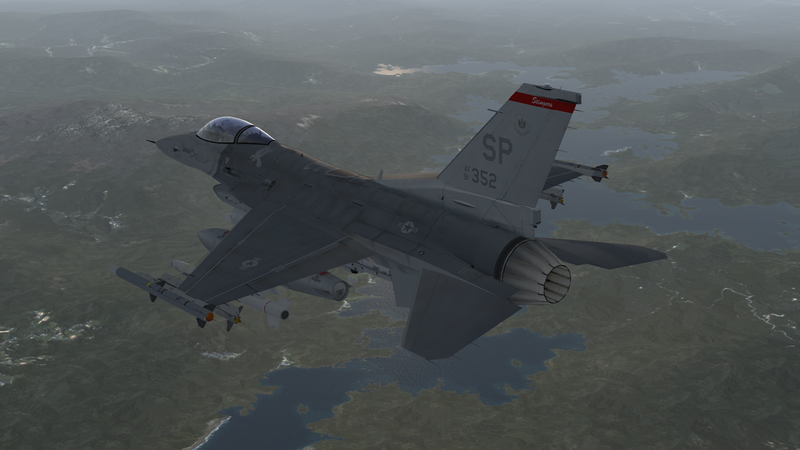 Crossing into North Korea with two AGM-88 HARM missiles. Wild Weaseling is always a thrill. Flight plan detail. I am going to engage a SA-2 at steerpoint 59 and a SA-3 at steerpoint 56. Ready to go. I have selected the HARM in station 3 and I have prepped it against SA-2's. I have selected the POS mode (stands for POSition known), which is a pre-planned attack mode. In this mode, the HARM will fly to the selected waypoint (59 in this case) and from there will start to search for emissions from radars. Although I'm now in range to fire (below 60 miles) the SA-2 is still silent. 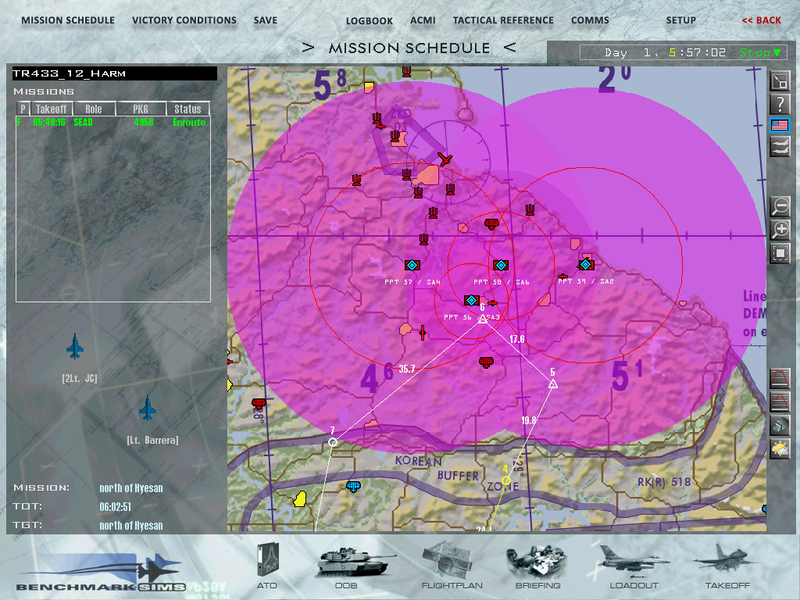 As soon as the SA-2 went live (note the "2" symbol in the RWR) I am ready to launch my HARM. The HARM flying to the target. A few seconds ago, it reached the waypoint and started searching for SA-2s. 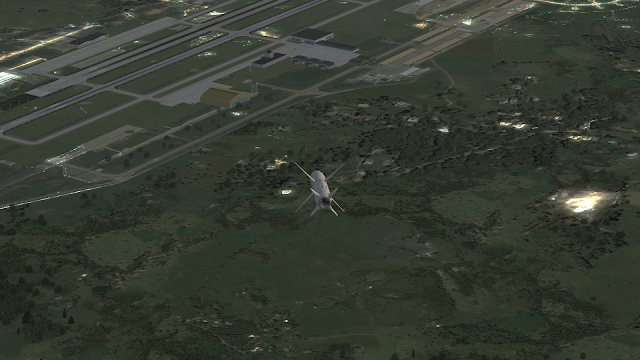 It took a turn to the left and it can be seen flying towards the target, which is nearby an airbase. I got a hit! 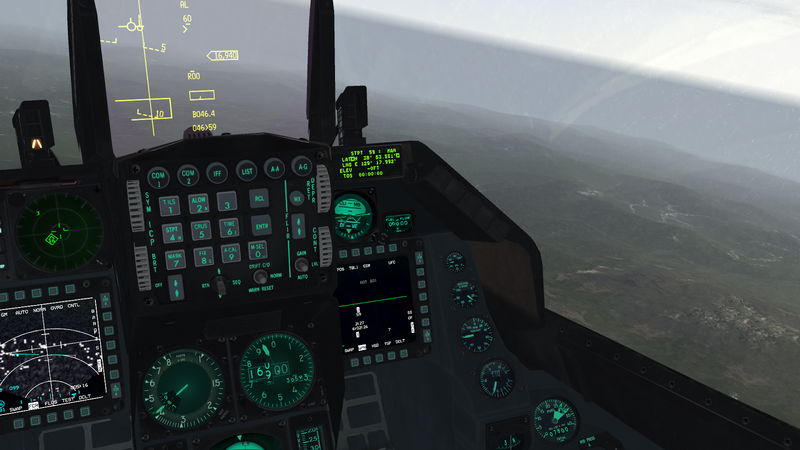 The SA-3 near waypoint 56 was a failure. I launched the missile but the SA-3 went offline a short time after that. Unguided and unable to lock into anything near waypoint 56, the missile went ballistic and exploded harmlessly on an empty hill. 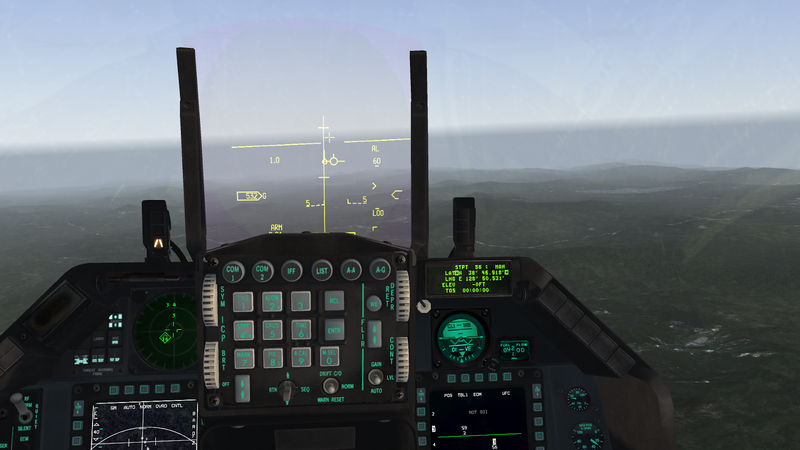 Besides the thrill of the realistic procedures and tactics, one can see the philosophy around the design of the target acquisition of the AGM-88 missile. In particular, one thing that impressed me is how the acquisition system uses filters to weed out SAM systems which are not too rewarding as targets. As described in Dan Hampton's book, enemy air defenses will make the RWR to look like "alphabet soup" and there is a definitive need to weed out some SAM systems.